This band will bring you the feeling of a carefree beer and wine festivals. 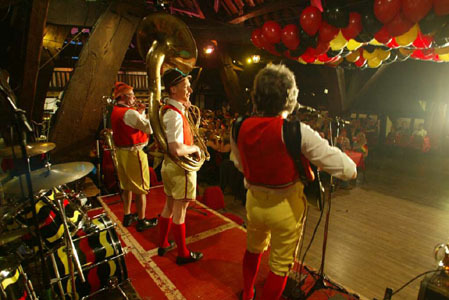 The music is mostly authentic music from Germany involving competitions and singalong. Purveyors of German oompah with Yorkshire accents.